Welcome to my first growth and income report, ever, för January 2015. I will publish these reports every month to show you how this blog grows and what I have done each month to make it so. Naturally these first months of reports will be short and not that meaty but they will grow and so will all the numbers (hopefully). Stick with it and success will come! I total I wrote 8 blog posts in January. Way below what I intended, goal is about 3 times that. However, I do still got a leg in consulting digital marketing and that takes a lot of time to managed and deliver, blogpost suffer at that. I will do my best to keep the content coming and my goal will always be 25 posts per month. The ones that performed best was Inspiration: 99 blogs and startups with transparent income reports. Drawing in 50% av all visitors. Reason is this post was promoted by many of the people on the list, mainly in social channels. Key takeaway is that a short mail just giving them the heads-up on that the article has been published is enough to gain some traction. Efforts marketing wise this month was that all posts were posted to relevant channels, including social and blogs. Some commenting on relevant blogs and participating in forums also occurred. No paid traffic was bought. Income for this month is 0, as I expect it to be for the foreseeable future. I have not monetized in any way but a single banner. And I will keep it at that until I gain substantially more traffic. Focus for now is to gain follower, subscribers and actually build an audience. For the coming month, I will focus my effort on producing more content. I have 10 posts already brainstormed and structured. So those will be written and posted. Stay tuned! I also have 1 guest post and 2 appearances as an expert advisor coming up. Hopefully, they will generate some coverage and add to my audience. I will let you know ASAP as they go live! I will try to squeeze in a few more of these. I will continue to comment, post to forums, and talk with authorities in the industry, always trying to add value or a different angle on things. With so low numbers this early there is no reason to comment all of them. There is no real trend and the numbers are to low to actually add significant insight. But in the interest of transparency, here they are. Come back next month or subscribe for a first look into the trend! Enjoyed reading? Share it with others! This is the most comprehensive income reports list I’ve found!! Do you wanna make 100? “tell the world what you intend to do but first show it”…. Have you given up!? I’ve been looking forward to watching your progress, you and I both started around the same time. Keep on keeping on my friend! No, not given up. Swamped in consultative work tho. Takes alot of time! Neeed to get better! I’m looking forward to seeing you get back at it. You have a great website and had a great launch from what it looked, traffic wise. I definitely look forward to future content. I know first hand it’s tough balancing between a side project like this and your main business, but it’s worth it. Honestly, I’m really surprised. I expected much higher figures. I’m a full time, independent webmaster/online entrepreneur too. Feels good to finally see things clearly. Thank you for this transparency report. 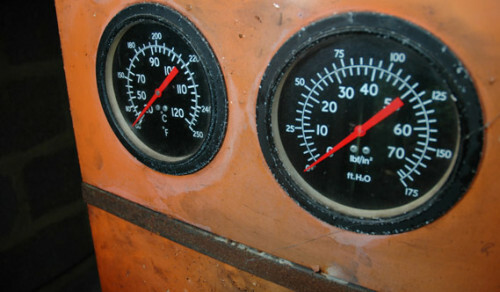 It really helps webmasters like us to asses where we are where we have to go. IT’s really motivating. Thanks for including my blog in your reports. Hi Mikael, thanks for including my site, Freelance Doodle in your list. This is an awesome post! I will be visiting some of the other sites to get inspiration but hopefully I won’t be comparing myself too much to the others. But it’s great to see the different levels everyone is at. Mikael, thanks so much for including me! This is a really great list! hey Mikael, you did a superb job here with these bloggers. I haven’t heard of many of them although I’ve been online for 14 years now and talked with lots of pro bloggers and online marketers and affiliates myself. It looks your detective work is paying off. Congrats! Thanks for inclusion. Great list… most comprehensive on the web. Plenty to learn from every blog/site/business listed. Thanks for including me!! Fingers crossed if you do this again I can end up a bit higher! Wow – awesome list and a fantastic idea! Big congratulations for doing this! My gosh! How did you come up with all of these? Several I’ve heard of before, but many I have not. Great job compiling such an awesome list. I’m thrilled to be a part of it. The proof is in the pudding – as they say. Making money online is alive and well and anybody can do it. Even a dumb truck driver like me! Google and RSS is your friend! A mega huge post here! Thanks for the mention by the way. And I have a long, long way to go before I get anywhere near the top half. Thanks for mentioning my blog here! I love reading income reports and seeing people grow and this list is perfect for that purpose! Thanks Mikael for including me! This is without a doubt the largest list of income reports I’ve ever seen. Thanks for including ours! What a great list of sites with income reports. Thanks for compiling this (and including us although I am a bit embarrassed by our amount). I look forward to learning from others on here. Wow man that is a serious list well done! And thanks for the inclusion! Thrilled to be included! Thank you! It’s a jungle out there, we income reporters need to stick together! Wow! Great list! I’m honored that you’ve included me, though I still have a long way to go and much to learn. Thank you for your hard work in putting together this round-up so that we can all learn from each other. Your welcome! See you in the next months report! WOW, great article and thank you for the kind mention…I am honored! Your welcome! We’ll deserved spot on the list! Hey, nice work! you should of titled this; Income Reporters United! Zero is your last report from what I could find! Looking forward to you ending up on the positive side in the next one! I always find it interesting/ironic that the sites that usually top these reports and make up the main part of them are the sites that make money by advising other people to buy these ‘must have’ online products/services if they want to make money. Usually these are other peoples products and none of them actually sell much of their own. There are a few exceptions of course. It would be great to see more transparency in the sites that create and sell their own products and services, and especially I’d love to learn more about some of the really big crafting and women’s interest blogs out there – but they keep things close to their chest! Agree, more transparancy is never wrong. Wonder if it’s because of everyone defending/protecting their niche or market or if that’s just a part of it? Massive Post Mikael and Awesome Blog ! Thanks from including my website to your post. I think it would be a great idea if you keep track of the top 100 income reports, doing monthly round ups like this one… Just a thought..
Great idea! Should def. look into that! Awesome round up thanks for mentioning me! Good work earns attention! Keep it up! Thank you for the mention. There are some amazing bloggers on this list! Yeah, send me your newsletter too! When I set up a daily to-do list, I often have a spectrum of tasks that need to get done. There are the big projects that figure to take multiple days to complete. We value your privacy — no spam. Just a few steps left! 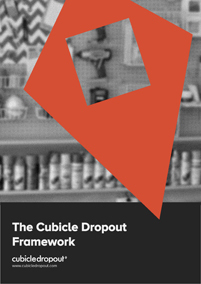 Your are just a few steps away from downloading the Cubicle Dropout Framework! We need your e-mail to get started! Psst! We value your privacy. No spam from our end! You complete guide to kickstaring your business online today! Download your copy right now! No! I don't want to grow my business!